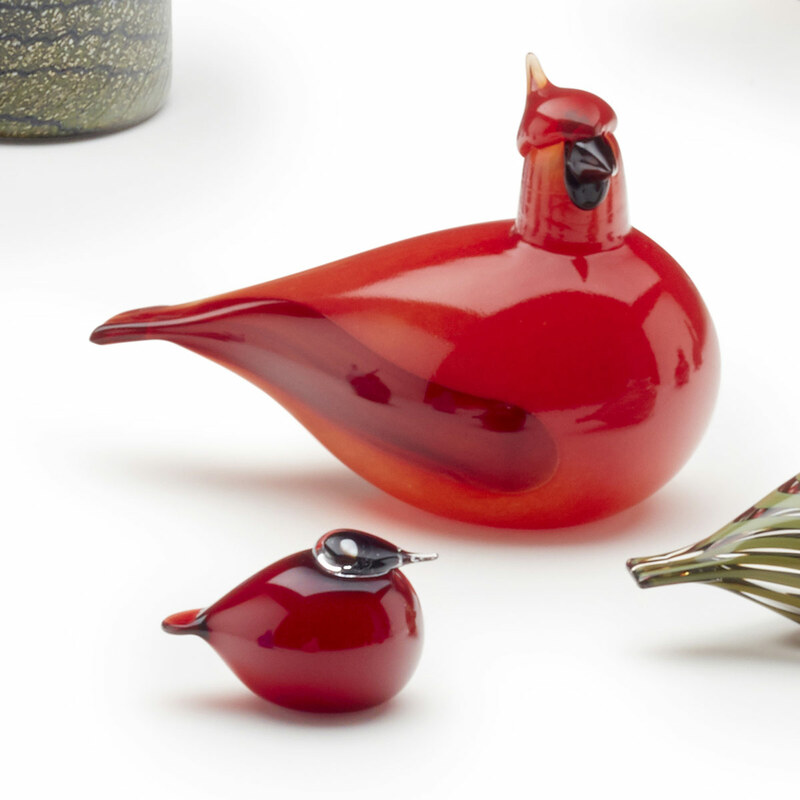 More about iittala Toikka Red Cardinal The Cardinal is a bright orange red bird with a strong personality. 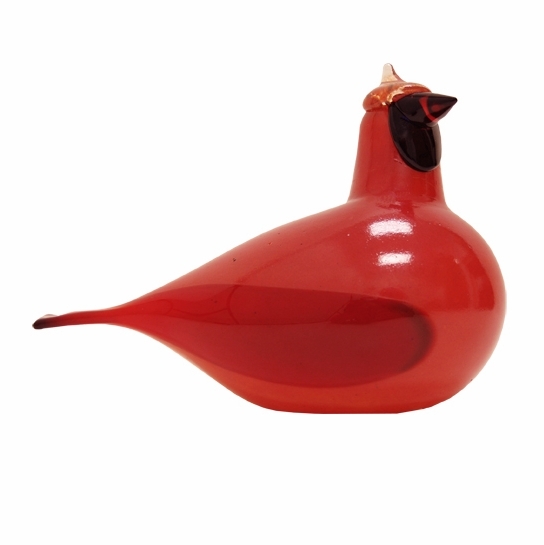 With a plump figure and a head that is cocked to one side, this bird has great appeal that will draw bird aficionados and lovers of mouth-blown glass art. The Cardinal came about in large part because of American collectors' requests. This perfect addition to Toikka's line is crafted through a unique production process which gives more lustre to the glass.Acid stamped "O Toikka" on the bottom.